Woodsford RxBridge™ offer an unsecured, revolving debt facility that provides access to additional working capital. 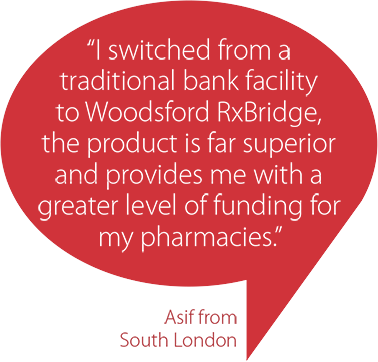 Woodsford RxBridge is a specialist provider of funding to the retail pharmacy sector throughout the UK, run by the most experienced people in pharmacy finance. As part of the Woodsford TradeBridge group, we are a family owned company with a long track record of supporting UK companies like yours. 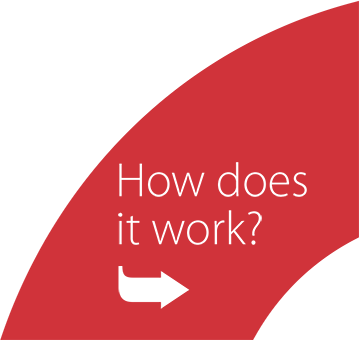 How does Woodsford RxBridge work? Have immediate access to cash based on your NHS dispensing. From application to funding in a matter of days. You can save money by negotiating early settlement discounts with your suppliers, money better spent invested in growing your business.